Today the 9th episode of the topic Meet the Person. This topic Meet the Person is about passionate people, people in the denim industry with a clear focus, mind-set and initiatives. In Meet the Person I will give you an insight into their life; who are they, what are they doing, what makes them so special, where are they working on, etc. etc. 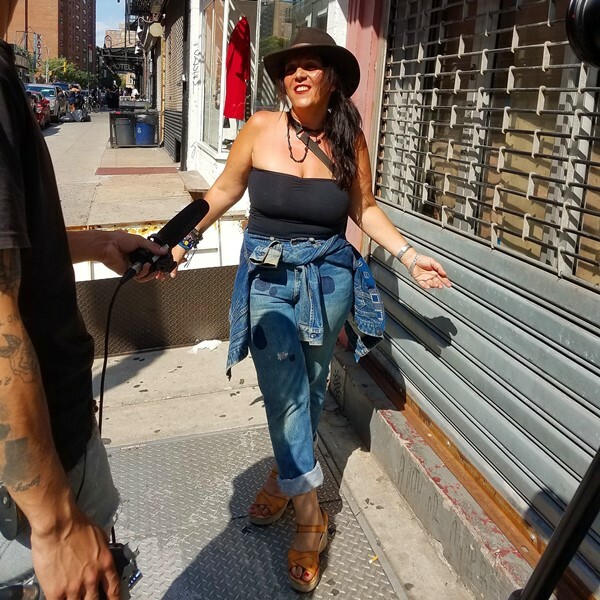 The 9hth episode of Meet the Person is with Christine Rucci aka Godmother NYC. Thanks for sharing your great and very inspiring story Christine Rucci! 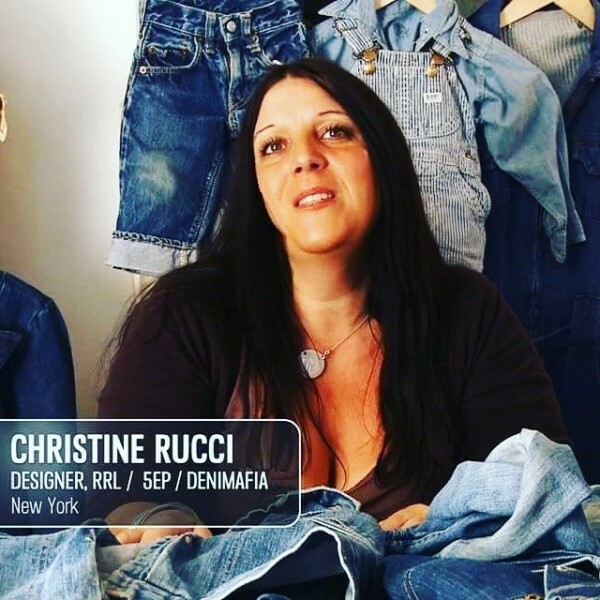 Name: Christine Rucci aka Godmother NYC. Living in village & country: East Village, Manhattan NYC. Number of Instagram followers: Don’t care! Not important! Website: None I am old school. Brands and people know how to find me. Daily work: Creative Director / Owner Godmother NYC Inc and Owen’s mom. I am Owen’s Mom first and foremost. I am a 35 year denim design expert. 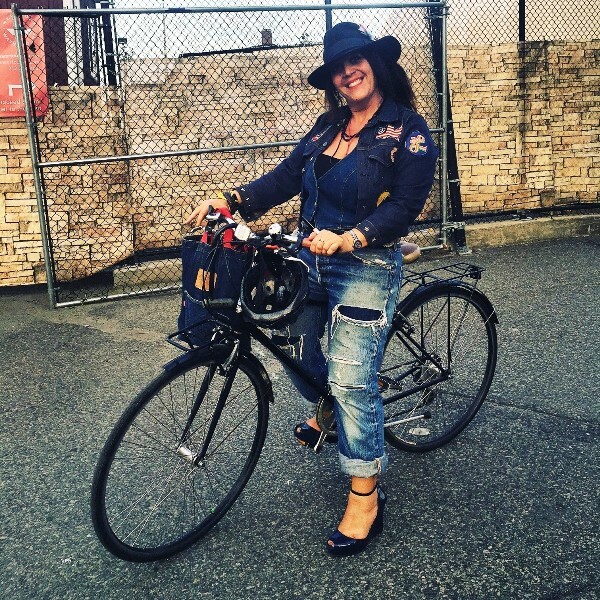 I am an cyclist, urban gardener, amature photographer, Siberian husky & bunny mama, vintage collector & stylist, globetrotter, campinista gal about town in NYC! For me, design is literally in my “genes”. My great grandmother, an Italian immigrant, who came to America in the early 1900’s and worked in the garment district as a seamstress. Having to attend Catholic school, I would walk home from school and yearned to wear Levi’s like the other kids. I begged my parents for pair and for Christmas in 1976 they gave me a Levi’s denim book bag, which I carried with pride and upset the nuns at school. For me jeans were a form of rebellion, and thus started my love affair with denim. At age 10, I designed my first piece for a Levi’s sponsored contest. I used to buy denim, workwear pants, and military pieces from the local army navy store and would bleach and distress them, as well as custom patch and embroider my own jeans. Christine Rucci aka Godmother NYC. 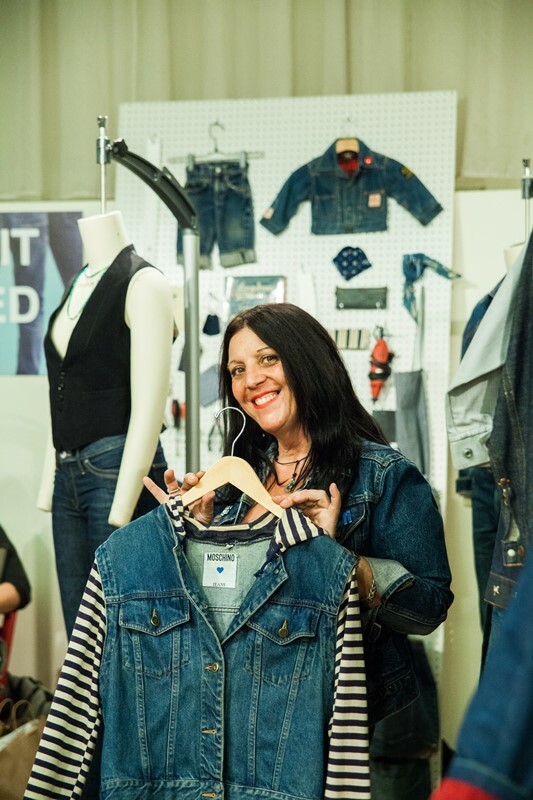 about here love for jeans and how she started in the denim industry. In 2004 I opened my own design consulting company Denimafia Inc. and launched 5EP by Denimafia. 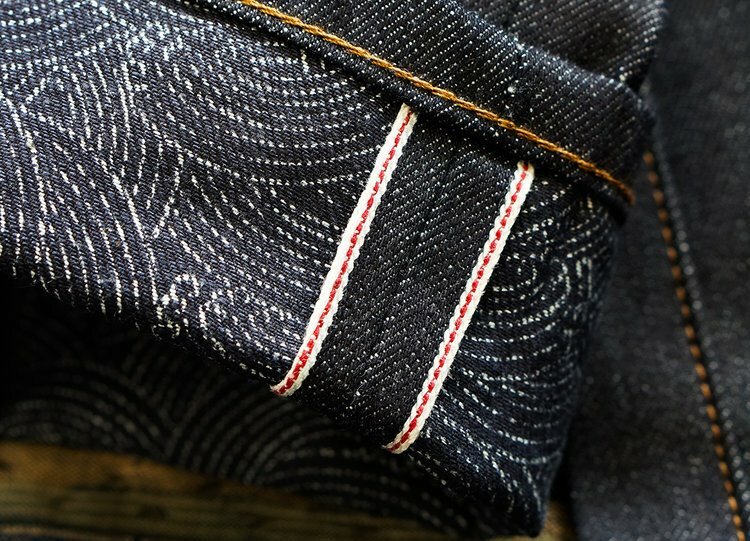 I worked in Kojima Japan and collaborated with Team Kit and Sakamoto along with local mills to develope my own fabrics and hand cut individually sewn selvage jeans. 5EP was one of the top men’s jeans brands as noted in the press, forums and by denim aficionados globally for ten years. I saw the future and in 2006 I developed the first user generated jean with StyleForum.net. The brand still has fans and I am planning a new concept in the future. I’ve never been caught up with who’s been wearing my jeans; I am a firm believer that it’s the product, not the celebrity or social media mannequins that make a brand. That said, I couldn’t be more honored to have people like Sir Paul McCartney, Daryl Hall, Rob Thomas, Keith Urban, and Reese Witherspoon wearing my custom-made jeans and denim related products. And I have developed close relationships with many of my denim customers and clients who I count as part of my ‘indigo tribe’ . In 2015 I went on a trip to Africa to work with children and started The Arts Project in Monkey Bay Malawi and hope to one day do a jean using printed chitenges for the pocket bags to help support local charities and schools I work with. I appeared in the documentary Blue Gold, American Jeans where I talk about my early career working in the Southern jeans factories and my dream of it coming back. I am a member of AATCC and was a consultant for DuPont, Cotton Inc., denim mills, factories, and laundries all over the world. In recent years I opened Godmother NYC Inc. which helps start up brands denim from concept & product develop through to production. 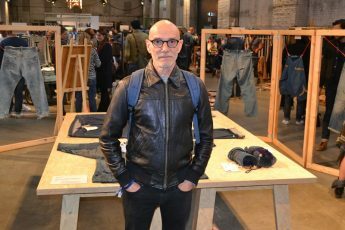 I have an extensive denim, military and workwear archive which has been featured in Sportswear International and other publications. I have a free one on one mentoring program for high school/college students looking to have a career in denim. I owe much of what I learned from my mentors including Ralph Lauren, Francois Girbaud, and Adriano Goldschmied. I am also Technical Designer, Garment Finisher and might I add the first woman back in 1982 working in the Italian and USA laundries. I am Fit Expert with clients including Marc Jacobs, Ralph Lauren, Draper James, Mott & Bow, Oak73, Flag & Anthem to name a few. Most recently I collaborated with Alvanon and did a series of first live denim jean fitting demonstrations and one-on-one ‘sit downs’ at New York Denim Days using 3D body scanning with the latest latest technology collecting data from 2.000 points on the body, determining size and shape and creating their own 3D image. At the moment I am working on a museum project opening mid December in NYC with artist Ian Berry. I am also collaborating with a leather brand to co-design and create a capsule denim group Made in NYC and launching it Spring 2018. I am trying to support a small laundry in rural Georgia which have old time ‘belly washer’ machines and looking for a partner to intigrate ‘waterless’ technology, as well as help sewing factories in the area who are trying to survive on military and union contractor work. Plans for a new unisex denim concepts I describe as ‘vintage – tech’ is in the works for next year, as well as a book project chronologizing my 35 years in denim. This is going to be a big year for me in denim. 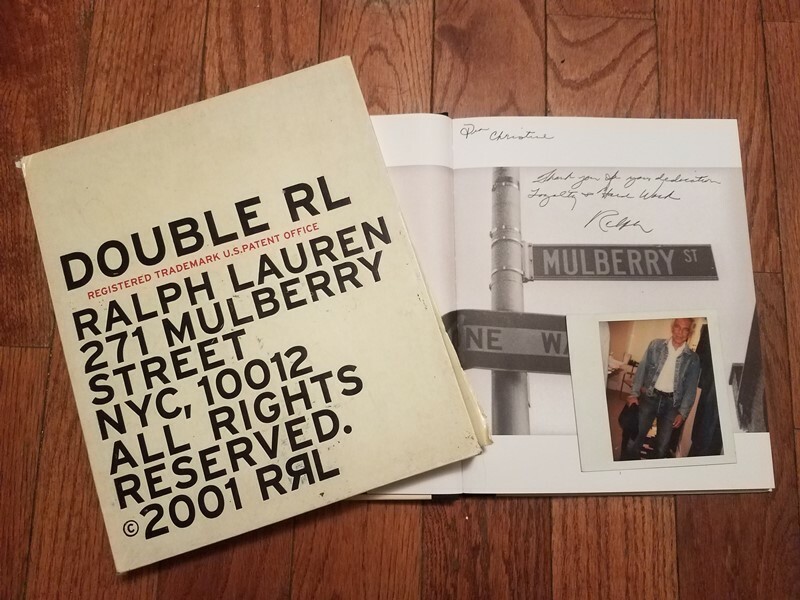 Oh there are so many things I am proud of….like working on all the product in a limited edtion Double RL book for Ralph Lauren (only 75 produced), working beside so many famous designers and most recently helping to revitalize made in America in New York City and the Southern United States. Having spent ten years of my career doing production in the Southern United States, this is a labor of love and being part of Blue Gold: American Jeans story documentary. But what I am most proud of my original ‘gene line’ my son Owen, who has grown up in the denim industry. 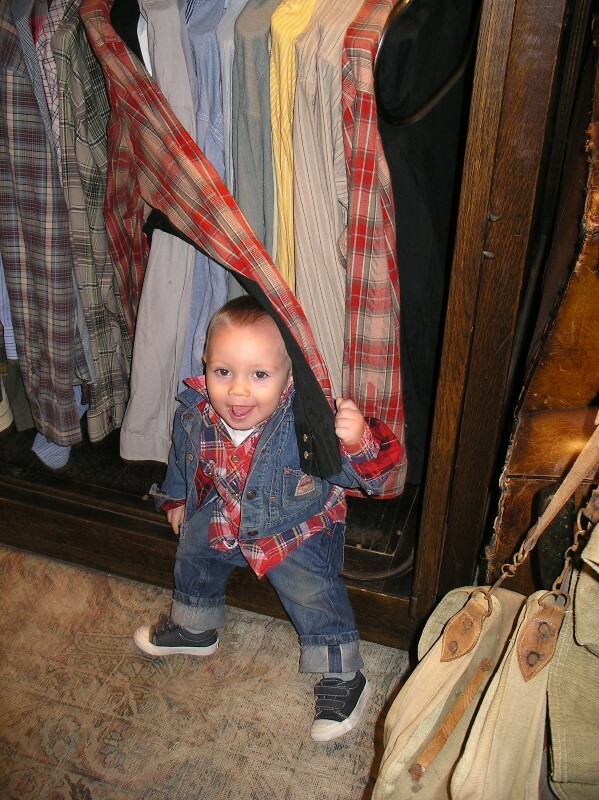 He was one of the only toddlers wearing Big E Levi’s and a customized Double RL jacket at age of 2! I recently displayed them at Denim Days Festival in New York City last month. Photo taken at RRL Store on Mullberry Street in NYC circa 2003. I don’t follow trends and find most of the so called ‘trend forecasters’ and ‘influencers’ all very self serving, don’t know denim history, and plagerize ideas and bank off of other peoples style which can’t be bought and sold. I do feel there are very particular years which are important 1950, 1976, and 1984 to be exact. I also feel the the whole ‘Re-Done’ and ‘The Reformation’ and relaunches of brands such as Genius Group, Calvin Klein, Tommy Jeans, and Marithe & Francois Girbaud are clear signs that herritage and brand DNA should be paid attention to. The key will be in adjusting the fit and serve as a wake up call to the denim industry. My gut is telling me rigid 100% cotton denim in 11-14.5oz for both mens & womens. I am feeling 3×1 Ring / Ring, Open End, and Broken Twill, and 2×1 in Indigo & Natural (painters drill) and Left Hand (think old Lee Jeans). Stretch denim and the skinny willl be basics staples. I think it depends on your personal style and how you wear your jeans will create the trends. Ultimately I think the future is custom made DIY product at an affordable price. I think we all find that ‘perfect fit’ for our bodies and wish it come in different color, fabric, wash. With the new 3D body scanning technology advancement moving from ‘business to business’ we will see this move to consumers. 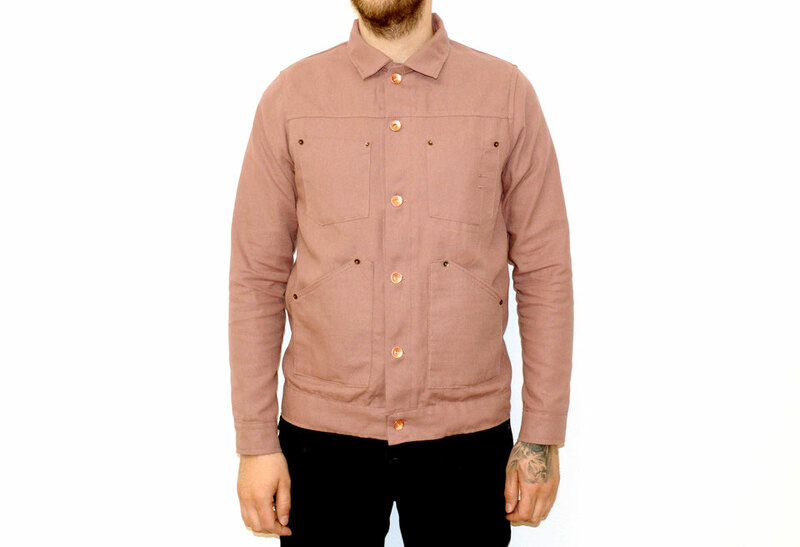 Which harkens back to the olden days when you went the the shop and had your clothes tailor made. I see fabrics definitely getting heavier and weight seens as added value. Jeans consumers are tired of the ‘light weight’ denim which falls apart and doesn’t last. I see fits getting more relaxed in these ‘belt tightening’ times and jean jackets getting shorter and tighter. I feel we need to just ‘grow our own’ jeans and move away from heavy washing and more eco friendly treatments. As fiber technology is advancing, I think challenges are to figure how to add these technical properties (wicking, anti-microbial, water repellency) in water-less applied application which can be done on inexpensive fabrics in garment form so that its it not price prohibited to consumers. I love vintage Levi’s 501’s. I can spend hours searching for the perfect pair which I will wear to death. I will mend and patch them and right now been wearing one pair for 4 years. That jean has travelled everywhere from NYC to L.A. to Malawi Africa and Dubai. However more recently I have been wearing Levi’s 711 as my go to everyday jean. I love the fit (not always the fabric) and I consider these ‘disposable’ jeans. My other favorites are my vintage overalls (Lee, Can’t Bust Em, etc.) and 1930’s work jeans from my archives. I have a staple black jeans I wear from frame and between vintage and current brands, I create my own personal style. I admire brands like Acne, APC, RRL and Japanese brands like 45RPM and too many others to mention. My inspriation comes from a variaty of places. I don’t go to stores and I don’t shop on line. Its a feeling I get from a period of time, art, music, film, and nature. I like to shop in my own vintage archives and make a selection each season and create a rigged mood board…I photograph it and that is my style for the season. I have what I call a ‘denim psychic intuition’ and ususally years earlier then the trends. I do not think what is in the stores now is a trend. I beleive in history and brand DNA. Ralph Lauren taught me ‘You have to look backward to be forward’ and that ‘Vintage needs to be fit to dress a modern person of today.’ There is a formula I work on in my head based on a time period and I research the period and compare how it relates to today. I have very specific years I feel are important 1950, 1976, and 1984. I look at the politics, the music, that art, and the clothes of those years and this becomes my inspiration. 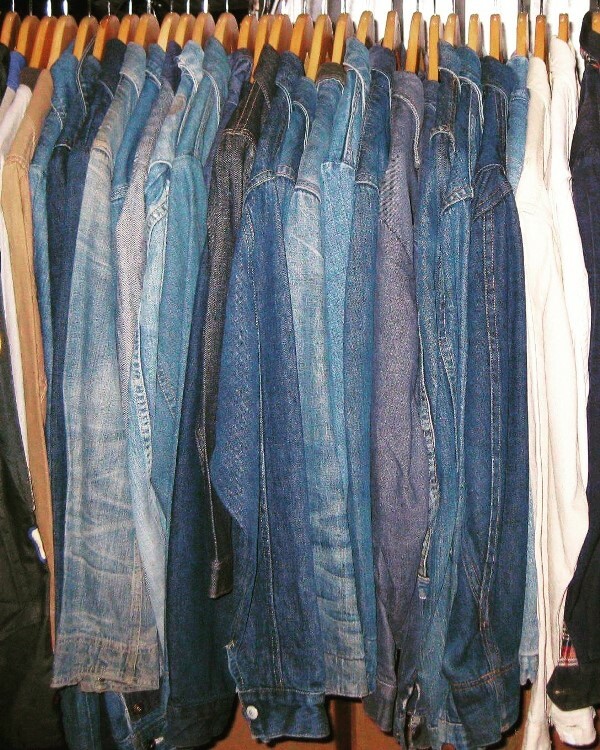 My jean jacket collection….I personally own over 75 jean jackets many rare one of a kind and many are selvage. I am a ‘Blue Gold’ miner. Every item has been hand picked and curated over the past 40 years. I put little ‘indigo love notes‘ on each piece and remind myself where I bought it and the story. I am working on a book of my 35 years career and this is part of it. But my favorite is a patched jacket I bough on eBay for $19.99 and had been featured in Sportswear International, Rivet, and other online publications. The jacket is a boys Sears Roebuck from the 40’s pure indigo, but the patches are beyond rare and more valuable then the denim jacket itself. I especially love the ‘ecology’ flag which was designed in 1969 and the RAC (Royal Automobile Club) closed in 1969 so I can actually date this piece by the patches. It has Snoopy and The Red Baron, as well as Peter Max patches. I have since added a few including a repro Levi’s rainbow logo. Also my original Levi’s denim book bag from 1976 which I wore to Catholic school to upset the nuns as denim was forbidden. 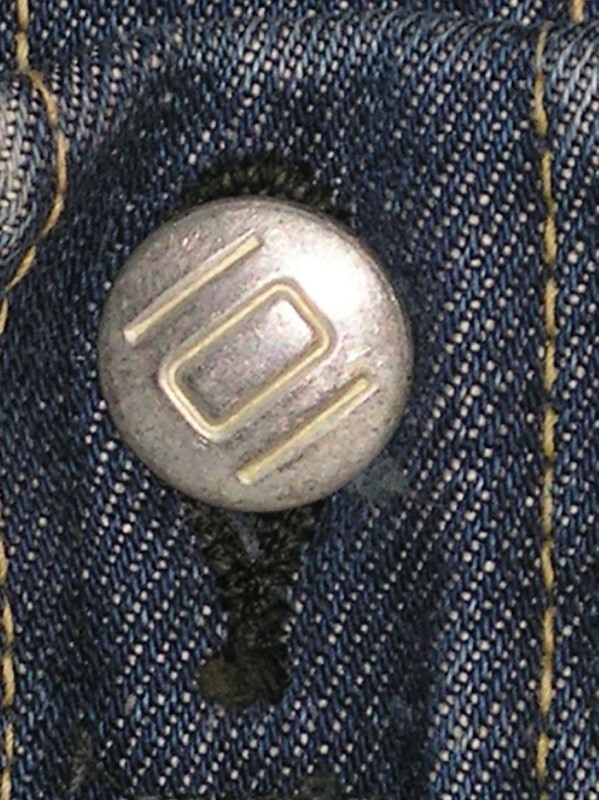 Also my Powerhouse 101 jacket…I love the button and the jeans Jack Keruak wore on the road. Photo by Godmother NYC Inc.
At the moment I am into three fits which I wear in roataions. A pair of mended 501’s from the 50’s and ripped up RRL selvage from 1990 with a huge turn up which I wear either low slung on the hip or hip up on the true waist. As well I am into a true 70’s flares or 40’s sailor jeans and an 80’s fit which I am calling the High Rise Cropped Baggy. I found an original proto sample from Genius Group label Ten Big Boys circa 1984 made from Burlington Goldrush Denim. I wore it to Denim Days and the fit seems so right now. New York City! It is the center of everything, art, design, music, food and history. Everyone wants to come to NYC. We have the best of everything. We are the most diverse city in the world and everyone wears jeans of every shape and kind. I sometimes film people walking in the streets and I beleive there is so much personal style in this city. We also have four seasons, so this means every three months people change up their looks. We are close to the beach and countryside. So no one has one look in NYC. I love to travel to other cities, but NYC is home! I am particually proud to be a New Yorker. 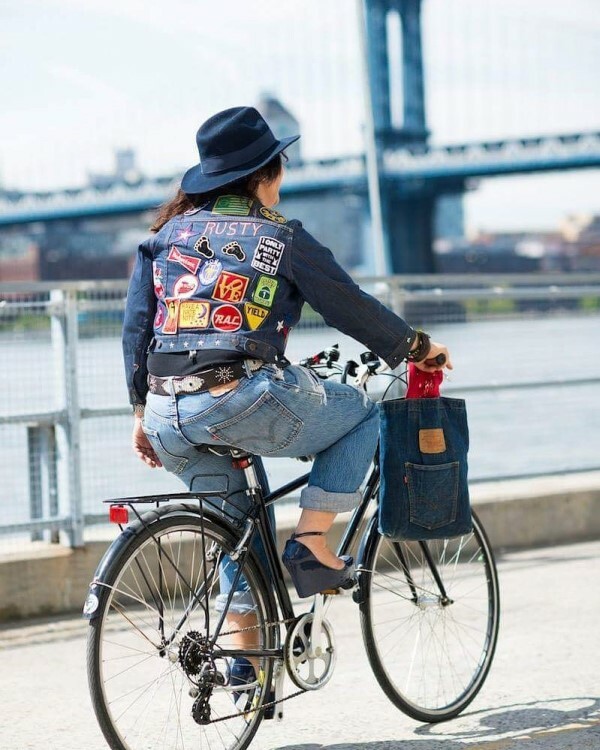 Also NYC boasts most of the best fashion designers who have had an impact on the denim history. Photo courtesy of Denim Days Festival NYC. I would have to say there are a few. But hands down Ralph Lauren is my favorite. From the moment I opened my first W magazine in 1981 and saw a Roughwear advertising, I wowed that one day I would work for him. I was very lucky to have been asked to run the denim for the company, and later served as Senior Design Director for Double RL line. I have been also very fortunate to have worked directly with Adriano Goldschmied, Francois Girbaud, Tommy Hilfiger, Renzo Rosso, Donna Karan and Calvin Klein. 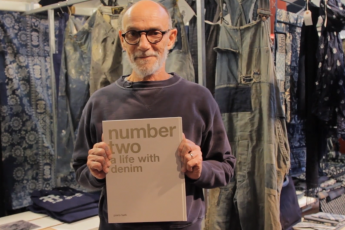 I am a huge fan of Normal Kamali who been designing fashion denim for over 50 years and one of the reasons I went to Fashion Institute of Technology. I also admire Katherine Hamnett who also was part of Genius Group in the 80’s and pioneered garment dyeing and sustainablity since the late 70’s when she designed for Marshall Lester who is credited for ‘faded denim in mass production’ and launched the first International Jeanswear and sportswear show in Miami back in the early 90’s. Photo courtesy of Blue Gold: American Jeans Documentary. The Levi’s 501 jean. There is a reason everyone is buying vintage jeans, they are classic, they are rigid denim and they have defined most of our lives. Everything else is just an evolution off the original. Sadly they changed the fit and fabrics and stopped making them in the USA and they are just not the same. 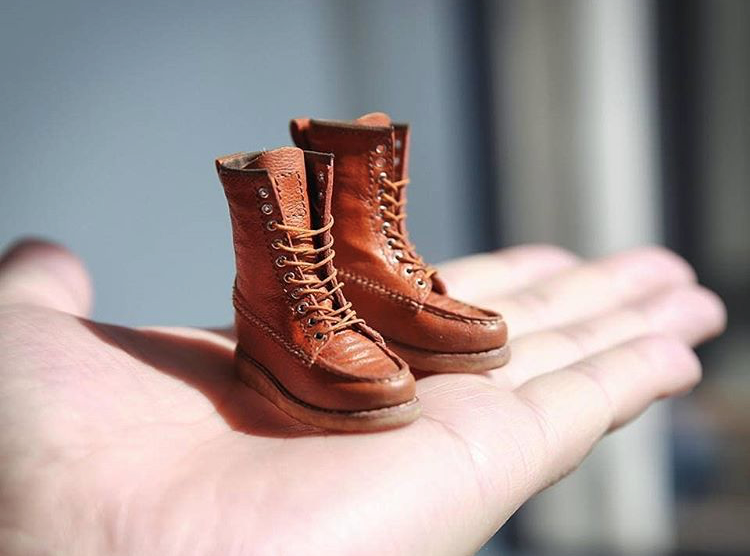 Growing up Levi’s was the standard in the seventies. I would buy them at the my local army navy store and fade them down with bleach and I had to have the ‘Student Fit’ corduroys in every color. I was so obessed with Levi’s that I begged my parents to take me out of Catholic School in the 4th grade. 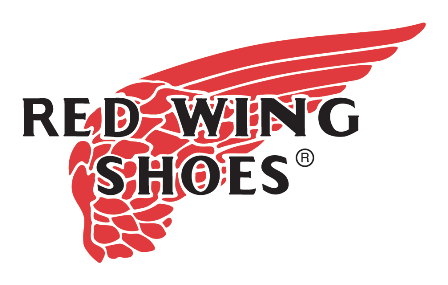 We would wear them with Frye Boots, Olaf Daugher Blue Suede Clogs and vintage wool sailor shirts on account my school team was the Oceanside Sailors. I would have to say Claire McCardell an American fashion who is credited with the creation of American sportswear and the first fashion designer to work in Denim going back to the 1930’s. In 1987 I attended an exhibition at the Fashion Institute of Technology called ‘Three Women’,which highlighted the development of fashion in the 20th century. The women were Madeleine Vionnet of the Paris couture, whose work dominated the 1920’s and 1930’s; Claire McCardell, the leading sportswear designer in New York in the 1940’s and l950’s, and Rei Kawakubo, who began attracting attention from the fashion world in 1981. 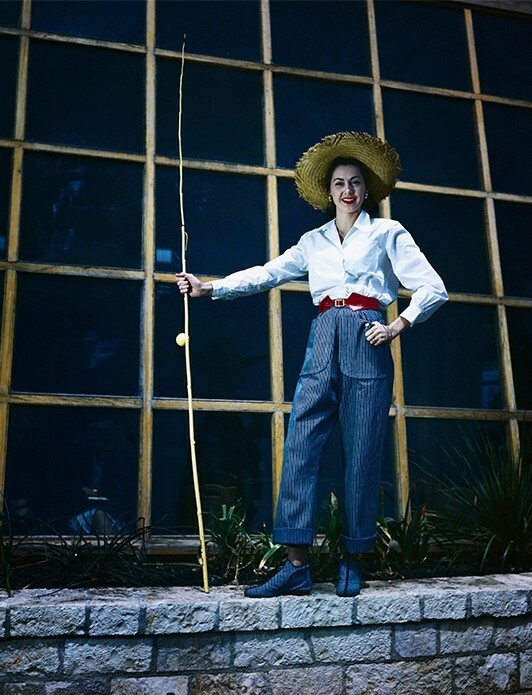 Claire McCardell’s designs are in the perminant collection at Fashion Institute of Technology in NYC and the Smithsonian in Washington D.C.
Claire McCardell’s “fishing slacks” in denim worn with a classic little boy’s shirt (© Bettmann/CORBIS). My personal archives is like a curated vintage store. I have been collecting for 40 years and my collection , jeans, shirts and military which I rotate. 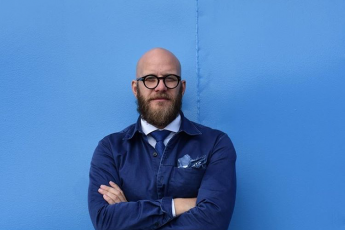 I am a huge fan of Blue in Green, Opening Ceremony, and Double RL and vintage shops like Quality Mending Co., 9th Street Haberdashery, & What Comes Around Goes Around in NYC, Bobby from Boston, Denim Doctors and Monsieur Blackfoot at the Abbot Kinney Flea Market in L.A. I also buy direct from vintage dealers like Antique Textile Resource, Strongarm, Cherry, and Honeymoon Antiques and shows like Inspiration, A Current Affair, and Manhattan Vintage Show. 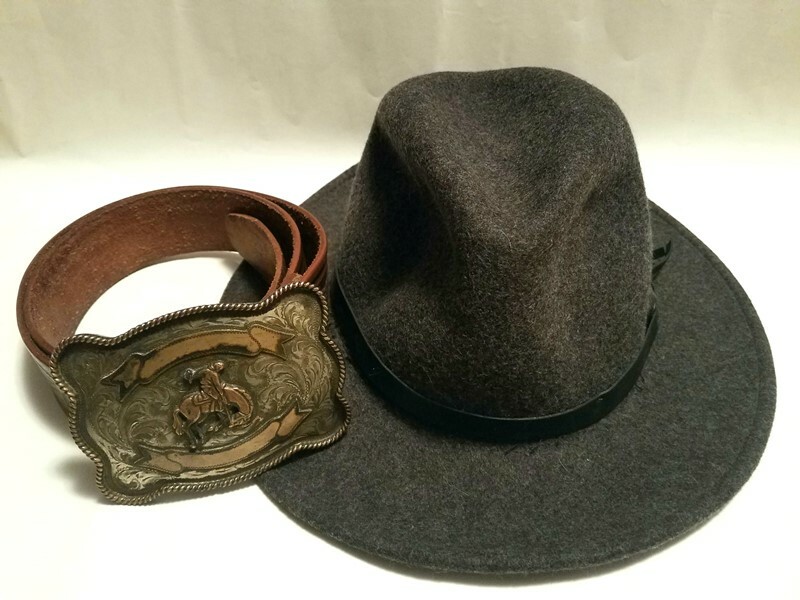 The ultimate denim accessories are belts and hats for m. I have a vintage belt collection ranging from the 30’s to 1980’s. My favorite to go belt is my Hollywood Trading Co. No. 53 Starburst Peanut Belt and my hat collection from Filson and Goorin Bros. At the moment I am loving my Stetson x Filson Wool Packer and a rare limited edtion RRL belt buckle in silver with a tooled leather belt from the 60’s! “Its all the same but different“ and “What doesn’t come out in the wash, comes out in the rinse“ seems fitting! Norma Kamali and Katharine Hamnett some of the real first ladies of denim!